Maven's easy to use, fast and flexible. You can manage all your dependencies, group projects and manage your application build and deployment in a single place. It's easier to share your projects with your team, reducing the number of huge files you have to send with, and you don't need to worry if your colleague is using a different version of a dependency or even if it doesn't have it at hand, because maven will ensure everyone has the same scenario to work on. You can configure in a single place your build, tests and deployment configuration, and everyone will have this available to use, and with the same parameters. Artifacting a version? A piece of cake! Deploying to a server? As easy as clapping. This is really a swiss-army-knife of development. XML files are a bit messy, and it can rapidly become a huge monster in big projects. Some of the documentation is not so clear and sometimes you just get lost in a middle of a plugin lifecycle. Just use it. You won't regret. This will free you from the dependency hell and will save a ton of time from your team, trying to figure out how to build, deploy or test your project and remembering dozens of parameters. We reduced the size of our repositories, and we ensured that everyone has the same dependencies and they can focus on code solely. Also, made our build and deployment faster, as it manages all the dependencies for us, along with most of the building and packaging boilerplate stuff for us. This allowed us to build a stronger CI and CD routine and helped achieve a smaller time to market. Apache Maven is a convenient tool that provides maven dependency tree which helps to get rid of unwanted jars very easily. It also has tons of plugins which are really helpful. It is probably the best mature build tool out there for Java/Scala projects. Also, we use JAVA heavily and I think Maven is the way to go to handle Java application dependencies. Using the pom.xml we can setup build processes and to specify dependencies which are specific to our project. Locating the project information is very easy. Figuring out how to integrate a dependent jar that isn't in Maven & debugging complication errors can be really challenging. Maven is a powerful Automation tool and you should go for it if you are looking for automated build software with dependency management. It is probably the best mature build tool out there for Java/Scala projects. Build and configuration automation. Using Apache Maven, we have been able to automate the build, testing and versioning of all of our JAVA projects very easily. It is a great build tool for beginners. Build management for both services and web-applications. "The standard build tool for the Java ecosystem"
Today, there're plenty of build systems like Maven designed for the Java platform. They are all pretty similar in what they provide, but I like how Maven managed to keep it simple and become the de-facto standard. Using a simple XML syntax you can declaratively describe your project in terms of build phases (compilation, testing, packaging/deploying, etc) customizing each one in great detail. Maven will also manage your project dependencies (libraries) so you won't have to download all your required jars: just tell it which version you need, and it will grab it from its central repository. Extensibility is another plus: by writing custom plugins you can tell Maven to virtually do anything required for your project. It's suitable for building any kind of project: libraries, desktop or web applications. I'd like Maven to be more suitable for building Android projects as well. Nowadays, most Android development is done using Android Studio, the official Google sponsored IDE which uses Grade as its build system, so Maven is rarely used as the build tool for Android, and it's not always easy to configure it accordingly. Reading the documentation/tutorials and creating a basic project can help you grasp the Maven fundamentals. We use Maven to build almost our Java based products, which are mainly web applications. We were previously using Apache Ant, but found Maven an easier tool and it also allowed us to get rid of manual dependency management. Its learning curve is smooth so it's usually never a problem for our new hires. "Software Test Automation Architect Using Maven for Building Automation Frameworks"
With automation testing, the world changes really fast. Every update to any browser Safari, Chrome, Firefox leads to a new library being added for supporting automation. Maven makes life so much easier by providing me the ability to keep myself up to date with the libraries. The ability to build Cucumber, TestNG or any kind of project as Maven is an added benefit. And where do i start with the ease of Continuous Integration with Maven. Jenkins just love Maven. The issues that arise with pulling the dependencies into the project which are not very clear from looking at the errors. Sometimes random errors are caused which just goes away with refresh or restart. If you are not using it for Selenium projects, try it. Life would be so much easier. We are trying to automate the API and UI for our applications. It helps us keep the latest browsers supported. "Powerful software but with sometimes confusing configuration"
Maven does a good job at its core function--managing the dependencies between projects and libraries. When it is well configured, it allows our developers to focus on using required functionality without stressing over where it comes from. Getting a good maven configuration takes a lot of effort. That is--it has many configuration parameters, some of which are not very intuitive, and when you don't have them set right you can get very strange and frustrating behavior that can take significant time to debug. Part of the configuration challenge we've faced has to do with how Maven integrates with the Spring STS IDE, as both platforms add their own competing compexity. We have found the documentation regarding integration of Maven with Spring Test Suite to be somewhat lacking. There IS lots of free/open source documentation out there, and there definitely are resources (stack overflow, for example) that can be helpful, but many of the solutions you'll encounter are "hacks". The best advice I've found is to identify a colleague/friend in another company using Maven/etc to act as a resource to help guide you. We're using Maven to manage dependencies in a large proprietary Java-based web application. More precisely, we're migrating from a legacy ASP dot-net system to a new Java system. Maven seems to do an especially good job managing dependencies on common third party libraries. "Best for software project management, average for dependency management"
The most important things about maven is it's project management. It can manage a really really big project without any problem. I am using maven for almost every project I am doing currently. I feel that maven is extremely powerful for software project management. It supports nearly every platform for software build. It build system is excellent. It's project object management system if fairy enough for small to big software project. It's use of xml(eXtensible Markup Language) for project management file(pom.xml) is easy to read and easy to manage. By adding simple command in pom.xml build system of a project can be easily automated. It supports unit-testing, easy logging system. It's dependency management is average. Sometimes it is very important to add manual jar or manual library. But it's not that easy to add any library as maven dependency into any maven project. It would be very good if maven community gives easy option to add library manually. Till now maven is the best option for Java, but other choices are also worth trying. Software development and software project management becomes handy by using maven. By using maven we don't have to worry about project management, document generation, cross platform making, executable making, unit testing etc. 1. Software project management is handy. 2. Software build is easier. 3. Reporting and documentation is awesome. 4. Dependency management for some library is good. Best Dependency Management Framework out there in the Market. Easy and simple to configure the dependency management using the pom.xml. Profile support for running the pom configurations with different settings based on the profile being executed. Excellent transient dependency management and dependency conflict resolution. Pom.xml is a bit difficult to manage once it grows bigger with hundreds of dependencies and plugins configured. Not easy to debug any issues with the Plugin Lifecycle configurations. Mostly the issues has to be solved with a trial and error. Unable to inject the runtime variables easily. The existing mechanism to inject dynamic run time variables is a bit cumbersome to use. Dependency Management of the Libraries used to be tedious task in the past which is very simple now with Maven. "the de facto Java Project Build tool "
It is possible to open/configure the whole project in your IDE by opening only one xml file. Extendable through plugin architecture. A diversity of plugins is available for compiling source files, generating documentation, generating project web site, running code analysis tools like Sonar, packaging final artifacts, web service consumption, test execution, application execution, etc. It is sometimes hard to find the documentation of the configuration element of a plugin. Should be supported somehow by using xml schema definition for the configuration element.. Managing all artifacts of a big project is a time consuming error prone task for developers. With maven project structure could be defined and managed centrally, improving the speed and accuracy of managing project artifacts. I have been using maven for almost a decade and most of the projects I have worked so far. It is so convenient and help you download all transient dependencies without any struggle. 1. Provides maven dependency tree which can help you find different classpath issues because of collision with similar jars used by different transient dependencies. 2. Easy to exclude unwanted jars. 3. Dependency scope forces different types like compile, provided, runtime, test, system etc. 4. Tons of plugins which makes several jobs much easier. There are so many build and configuration tools available in the market recently like gradle. Try to research all these latest tools based on your needs. "Apache Maven - Life saver for automatic jars download"
We use Apache Maven for integrating Selenium automation to maven project. It helps to download the required jars directly during runtime, saves time in manual downloading of standalone jars. We add dependencies from Maven repository into pom.xml file of the project. Easily maintain the jars for all required components of code. Since it works like charm, we dont have to manually download jars for upgrading the Selenium/other versions, we just have to change the dependency in the pom.xml file by getting the dependency from maven repo site. 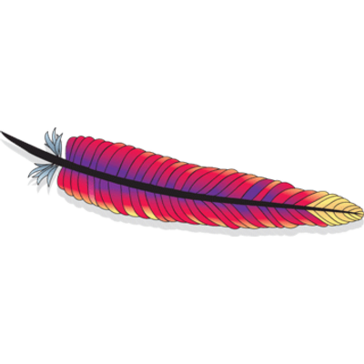 Using Apache Maven saves time and it is simple and quick changes. We can also now run our QA automation scripts using .bat files since the project is using Apache Maven. "Fantastic Tool for Managing Your 3rd party libraries/dependencies"
You can easily add/delete dependencies from one location and you can specify specific versions as well so you don't have version conflicts going forward. You have to go out and search for the dependency information, no type ahead or built in way to find it. Pretty small issue. Maven is definitely the way to go if you are looking to ease the management of your libraries/dependencies. It simple to use and it's all in one spot. You can easily manage our dependencies for our projects, as well as specific versions. Unable to inject the run time variables easily. The existing mechanism to inject dynamic run time variables is a bit cumbersome to use.you need to update the library which depends on the old one and then you can update the whole package of your software.Setting up maven , with a repo manager and key management to do Central deploys and such, is a slightly arcane skill set. Doing it badly is why causes most of the complaining around maven. Building software and automating build and deployments when an individual developer is working on the project. "Creating and managing software made easy "
The software or libraries needed to develop a software can be managed very easily and in a short span of time. While the software development life cycle will be expanded if you don't have a management tool like Maven. Even if the libraries upgrade you need to mention the new version only and the rest will be take care. I cannot think a life of a software developer in this modern era without a tool like Maven. It will be extremely difficult to manage the libraries to develop and maintain a software. As libraries keep upgrading we need to change the coding of our software. So to keep track of everything is almost impossible. In a simple word it is an awesome tool to manage a software in modern era. Library dependency. Lets elaborate the point. When you have multiple libraries for your project or software development you don't know whether they need same library of multiple versions or not. It is a very difficult problem to know in upfront. Presently I faced issue with com.dropbox.core:dropbox-core-sdk:jar:2.1.2 library. As this version is demanded by one library another needs older version of com.dropbox.core:dropbox-core-sdk:jar. It was a nightmare for me to resolve this. You need to update the library which depends on the old one and then you can update the whole package of your software. Trust me and try it without any hesitation to develop something new. I'm developing API for mobile apps. It cannot be achieved without a managing tool like maven within the short span of time. I think time is of the essence to develop and release a software in market. We cannot waste time to develop something and release it later. So I found it very easy to develop a software with maven in a short span of time. "Experience with Maven of an independent developer"
Use Maven as soon as you start your first Java program to have an idea of project management. Sometimes even it is helpful to convert a normal project to Maven project, it pays off. I need to bundle code to sync my work between different machines at office and home, and also exchange code with my colleagues. Maven helps me to avoid importing third libraries in my code, and reduce the size of the source code by magnitudes of order. "Awesome open source tool Maven"
Being Java dev & SDET - I have been using this tool since long, and before we were using ANT. Using Maven it was extremely easy to maintain pile of software with specific required versions, it was primarily created for automating build of code, and later it was used for managing various complex dependencies. Over a period of time it has been become standard of industry and being open source its keep on coming with more stable versions. I have to think a lot for finding or write this part because its extremely handful tool, but have one shortcoming abt creating running maven for downloading dependencies , have to provide goals each and every time and running mvn for getting updated resources. I always recommend to use it if you guys are managing complex java project this tool will come handy. Very efficient at managing 1000s of dependencies of project and creating easy path for solving real problems. Probably the things I enjoy most about Apache Maven is it's simplicity and ease of use in compiling and building java files into workable solutions making my job alot easier. IT user friendly to boot. Learning and implentation was a breeze. I appreciate the thought that went into the development of this software. As with any widely used management tool; there will be quirks. Initial documentation leaves something to be desired in that some topics are less than provided adequate explaination. Thoroughly train yourself on implementation of this software. I think I have come to the realization while working with Maven, that using this particular software model over others is preferred due to my specific ease of use. It has saved me quite a few hours and headaches. "Indispensable tool for Developers of Languages in the JVM"
Being able to download dependencies makes getting the team in sync easier. And have a common set of configurations across the team allows us to focus on the development of our product over setting individual configurations. The reliance on XML. It can be hard to follow the configuration especially if your team doesn't use an Integrated development environment (IDE). Most developers I've worked with prefer to reduce the process heavy IDEs (like Eclipse). Unfortunately, that means for large projects without an IDE, the maven configurations need to be properly organized and documented or it can lead to problems down the line. Use stackoverflow to answer any questions, but read the documentation on maven.apache,org and follow some tutorials to get your head around the basics. The problem of trying to gather a lot of dependencies to be shared with a large team that is distributed. Maven supports proper configuration to ensure the same dependencies are used no matter where or who is running the build. Additionally, executing the tests upon a successful build decreases worries of breaking anything or missing something that is broken before it is pushed to the rest of the team. "This is an indispensable tool"
Maven is the best way to handle Java application dependency and builds in such a way that is sane. I was a little late to the maven party but when I joined I was so happy. It has become an industry standard. I really want to build my own plugins but I haven't had the time to learn. The instructions online are not easy to get into when you don't have that much time. Do your research and read a book. There are also a great tutorial on Udemy that will get you well acquainted with maven. Be aware of its limitations. It is optimized for Java projects and specifically web projects that deploy to a servlet container. However, you can extend the usage to other types of projects with the use of plugins. Handling project dependencies and automating the software development lifecycle. I have been able to successfully automate the build, testing and versioning of all of our projects. As we all know, Maven is a build tool. What i like the best is, I don't have to compile each java classes manually. Maven compiles all the java classes, package the entire module in a jar, tar, war. Also, the most important advantage of using maven is dependency management, don't need to manually download the dependencies and add them to lib folder, Maven does it all with a single command. Other advantage of using maven is we can build the project according to the environment, suppose i want to deploy on staging or production, i can simply build the project by providing build profiles (mvn clean install -P staging). the only thing which i found difficult is you need to maintain the project structure, otherwise maven will not work as expected. With the minimal configuration, you can use Maven for your project build process. It is very easy to maintain. For dependency management. In maven, we don't need to manually download the dependencies and add them to lib folder, Maven does it all with a single command. "One of the best project management tool and build tool." The ability to manage your external libraries and project dependencies in one place and ability to continue execution after failures. Maven allows multi module builds is a big plus. It is fairly easy to understand as compared to Ant. The pom file uses an XML format which although, esay to comprehend, is quite difficult to write as compared to gradle. Maven doesnt support finalizers and doesnt allow custom declarative statements. maven helped me develop and manage 2 java apps that are currently deployed. Its a great build tool for beginners and fairly easy to understand. "Best automation tool for build and manage projects"
1. Maven tool provides a easy way to add dependencies to our project easily with a single file(pom.xml). 2. Using pom.xml we can setup build processes and to specify dependencies which are required to our project. 3. Maven is as good dependency management system in terms of Project Life cycle - component versions, release management and so on. 1. New beginner can puts a lot of efforts to understand the integration and how to use maven in their projects. 3. If you have a dependent jar that isn't mavenized, you might lose your mind before you figure out how to integrate it. You can choose Maven If you are looking for automated build software with dependency management. 1. All dependencies are downloaded automatically for my project. 3. Drastically simplifies the way my build will work, because every build follows a generally standard procedure. 4. Every member of our team will be building/deploying in the same way with every compile. 5. Run JUnit tests for my project very easily. 1. A simple (depends on project) pom.xml file is enough to use maven. 2. Dependency management is maven's one of the best feature. Listing all the dependencies in the pom, including their version is usually enough for a complete maven build. 3. Modular approach is forced by maven. This might be frustrating at first but when re-using the code, you thank maven, seriously. 4. Integration with popular IDEs like eclipse. 1. The worst think about maven is the documentation. Not everything is written out in plain text, it takes a lot to really 'master' maven and maven 3 is even large. 2. If something fails. maven will give you cryptic error messages. The life-cycle concept is not as simple as other build systems like ant. 3. If dependency caching is not used, it will take a while to download them all and then start build. Maven is a big investment. Read the docs, if you still think you can use maven you are welcome. Not having to manage dependencies and different versions is a wonderful help. It makes the build process more simple, no more hunting for the correct version. Writing code in eclipse and then using maven to deploy it works very well. Its really easy to customize and add custom build requirements due to flexible plugin system. You can easily encapsulate sub-modules and build a complex applications while referencing your reusable components. Most of the big IDE's give support to it and can integrate easily into your build workflow. The Java Spring code generation Spring Roo also can generate maven build for you project. It supports profiles so you can customize your environment related builds. This is a bit older technology and still use the xml configuration syntax. Mostly it can be used for back-end projects, not like sbt or gradle alternative build sytem tools. Please check other build tools before decision like Gradle or SBT. Uniform building management for both services and webapplications while you can split your business logic via sub-modules. You can also reference some basic project artifact as a baseline, so you can rely on lots of pre-defined functionality and features. I love how much easier it is to share code with the libraries, because now anyone who is going to collaborate in terms of code can now just get the libraries without having to put them in the repository. I wish it was easier to use and to setup. I don't like how tedious some things are to setup, such as shading in external libraries. I'd recommend that you brush up on your XML knowledge before using Maven, because that's the way you will configure everything you need. I'd also suggest running anything but windows when setting up maven, because it is a tedious process with Windows, due to the way it works and the fact Maven doesn't have an installer. It makes it much easier for me to work with other people on different projects, meaning I am able to collaborate better with people, especially when I add a library I just have to push the updated pom.xml and then the other users are able to just quickly download the library and any documentation that goes with it. The industry standard for Java dependency management is Apache Maven's repository system. The Maven central repository is a go-to for any Java library. Maven's build tool is also an integral part of our software development process. Instead of having Makefiles or shell scripts, we can define our build process as a platform-independent XML file and include it in our source control repositories. Maven's user experience is not the most friendly thing you will have ever seen. It could be made a lot easier for new users to get started. If you are trying to employ newer developers, something friendlier such as Gradle might be right for you. However, experienced Java developers will have no issue working with Maven and they most likely will have used it many times before. We use Maven for all of our Java products. It saves time and allows us to have build scripts that will work on any platform as long as it supports Java. Running your own Maven repository allows you to publish private JAR artifacts so all of your developers can use them. "Maven was the best of breed in java project management"
Maven introduced fast and very configurable, but not bloated builds with success some years ago. The xml configuration is easy to setup but a bit verbose. The dependency resolution was better than other existing solutions and the plugin architecture enables composition of build features without having to redo everything. Maven seems to have stagnated and there's not much advancements lately. After gradle appeared, it seemed like maven couldn't catch up and not it's left behind. Maven is still a great product to work with but given the alternatives, I wouldn't choose it in place of gradle. Also maven stayed mostly a java only build system, where gradle has expanded and given easy ways to compile other jdk languages and even non jdk languages like c and derivatives, and lately web based technologies like scss and other compiled web languages. I would check gradle first. Gradle does everything that maven can, but it does it faster, with less configuration and it's constantly getting better. Maven helps streamline java builds, it's a huge leap from using ant, that in turn is a huge leap of using an ide to do the compilation and building of a java app. Having a project working with maven can save hours of problems with building and enables easy continuous integration and deployment. Maven is fast, easy to setup, from Apache, includes dependencies and downloads them automatically from maven repositories and has a large vibrant community. Most of the sample Java programs and open source ones on Github use maven. It is a default and very standard. It runs on every platform which makes it great for development regardless of if you use Ubuntu, Mac or Windows. It could be a bit faster, it could allow for more scripting like gradle. For the most point, the main issues are very minor and do not get in the way of using it as a primary build tool. It works very well from Jenkins. Use it, install it everywhere. Make sure you look on mvnrepository for all the libraries that you may need. There are pretty much all the packages that you may need for any Java development. This is the main build tool that I use. I can use it at any client and on any machine. It works well on EC2 instances or local laptops. It is very easy to call from your own scripts or from Jenkins. I have used it on hundreds of projects and tons of sample code. "The CLM is the way to build software"
Deterministic, declarative builds are the path to greatest utility. Maven is one of the only tools that exists that provides this out of the box. The Maven component lifecycle management process is, quite simply, the safest and most effective way to build and release quality software. There are a massive number of plugins for almost every conceivable task. Wow...where to start. The new direction of the polyglot maven is just a bad decision, driven by customers who dislike XML. Setting up maven , with a repo manager and key management to do Central deploys and such, is a slightly arcane skillset. Doing it badly is why causes most of the complaining around maven. Building plugins is pretty challenging and requires a lot of log-based debugging. The debug harness is terrible. Plugin quality varies, but bad ones tend to die out quickly. Our group provides assurance to the business that our output is deterministic and repeatable. Without maven, we'd be stuck with imperative build systems like sbt and gradle, which do not provide deterministic outcomes directly from their execution. As a team, we have effectively solved the dependency management that exists with essentially all modern software and we have eliminated the barriers to repeatability and continuous integration that come with non-deterministic output. "life is much easier with maven"
simplicity of configuration and and adding dependencies comparing to other build tools like ANT. it became industry de facto for building and configuring java projects . -automatic executions happened behind the background can sometimes lead to errors. managing javaEE projects and builds. automation of testing and build and integration. "The enterprise solution to managing dependencies"
Docker is challenging the likes of maven for dependency management. Docker also manages the environment and is an addition advantage in that case. "Awesome product as long as you have internet"
It's super simple to add dependencies - other people's Java projects. And it integrates well with the three main Java IDEs - namely, NetBeans, Eclipse, and IntelliJ. You pretty much have to have an internet connection to use it. If you're somewhere where there's no internet - say, a SCIF or other such classified environment - you can't use it easily. There's ways around it, except that the way around it begins by being connected to the internet. If your work proxy blocks Maven Central, where most of the dependencies are hosted, good luck convincing your IT department to unblock it. Just keep in mind the internet issue. I use it for both work and school. Used it at work first, loved it, so I used it at school to, which was better because outside work I don't have to worry about internet issues. It's also great for document generation. "Maven makes dealing with java dependency management a breeze." It is a little resource intensive but nothing a modern laptop or desktop can't handle. If you are going to be doing java then your really want to use maven. We currently use maven to manage dependencies for openmrs our core emr. "Best build tool for dependency management"
Comparing to Ant I recommend Apache maven as it makes dependency management easier and it integrates with IDE's( Eclipse..etc ) and integrates 3rd party plugins also. I use this as this is the only build tool we use here. We use it for dependency management and for CI systems. "Most used build tool used by Java developers"
We have a test runner, a dependency management and a build tool in just one tool and it's simple to use. It's a little bit harder to configure the project at the first time. There are so many options to define dependning on the plugins you are using. This tool helps developers to manage development projects (project meaning just your software source code) managing external dependencies, automating building, reports, code analisys and the most important is you can choose your IDE independently of your team choice (you don't need to use the same IDE to work on the same project). "Excellent Build tool for Automation deployment process"
With Maven, you don't have to worry about transitive dependencies. If your project depends on library A, you just add a direct dependency on A and let A worry about its own dependencies. Maven can create reports showing all the dependencies used on a project. Maven can display a hierarchical dependency tree that includes all transitive dependencies. All Maven projects have a common structure, which makes it easier to understand each project. It consumes lot of time to solve the dependency conflicts. "Go-to tool for software deployment and dependencies management, as well as testing"
It works with Java and Clojure. It is easy to follow a getting started guide. Can run tests, deploy to war and jar file, describe dependency versions and retrieve on new project checkouts, among other things. Can describe whole configuration on an xml file. Deploys to server with Tomcat, and as a standalone java application. Xml file configuration seems to be outdated, compared to other modern configuration solutions (yaml? json?). Usually used with java, although can be used with projects written in C#, Ruby, Scala, among other programming languages. Its headed in its own direction to the needs of some not-that-recent programming languages. New languages and programming environments have their own similar but upgraded tools that replace Maven's role. Building software and automating build and deployments when an individual developer is working on the project. For a software development group, there are other alternatives on running and deploying via a CI server. "Easier Java project dependency management and build with Maven"
It makes dependency management easier than Ants. It has full project lifecycle management for compiling, testing,code analysis, packaging, documentation and deployment. It integrates well with plugins including out-of-box plugin and 3rd party plugins such as sonar. When different packages depend on multiple versions for exactly one package, and the different versions conflicts. It don't work. It takes lots of time to solve the dependency confliction. It always retrieve data from remote server even I put it in offline mode. In the era of Ant, we put lots of jars in project source code as libraries. It caused the code repository to be huge and difficult to maintenance. By Maven, the code is code, the binary is binary, and we are happy to host only code in our project repositories. In the era of Ant, we spend lots of time to setup PMD/Findbugs/Checkstyle/TestNG and other tools to analyze and test a project. By Maven, each tasks can be integrated as a goal. It became natural and efficient. "cool tool when it works properly"
I would also look into gradle and figure out what tool is going to work best for your workflow. resolving dependencies, building WARs. It enables importing projects into my IDE very easy, and allows other developers to do so as well. "Best build tool for JVM-based projects so far"
If your project's build process is trivial, Maven will do the job with ease and writing configuration will be a breeze. But once your project tree becomes complicated, you may encounter issues with dependencies. For Android project consider using Gradle, it is actively supported and advertised by Google. Maven is very helpful in maintaining dependency frameworks. It's very easy to introduce new frameworks with very less changes. And it's centralised repository is more helpful in storing all the required dependency. As the project grows it will become very hard to maintain all the dependencies. "Best build tool for Java projects"
I like it's dependency management. It's the best in dependency management. It's very easy to find dependency groups, artifacts, versions etc. It's very easy to setup and run. It has integrated junit support for unit testing which is very helpful. Maven 3 has also introduced a new feature called parallel builds, which analyzes your project dependency graph and enables you to build schedule modules in parallel. It is slow and requires internet connection. It consumes internet data very much. It's repository size will become very huge. My repository size is 9GB. we need to manually clean. If you are looking for a build tool for a project which requires multiple dependencies. It's for you. Simple you just no need to worry about copying jar's . I use this build tool to build my sakai, liferay projects as well as sample demo projects which i create for practicing. Easy to startup a project (especially if you develop with Java). Multiple plugins that enhance your daily work when your develop. Each Java developer should use Maven for their projects. Sometimes, a lack a documentation for some plugins. Maven enhances the daily work of a developer : a lot of poor (not interesting) tasks are realized easily with Maven (libs dependency management, compilation, packaging, deploying, ...). You save times with Maven. "The best tool for dependency management"
It could get a little verbose with XML. So for enterprise projects, it could get difficult navigating the tree. I know its not an issue with Maven per se, but I would think this is one of the limiting factor for moving to SBT. Maven delivers on managing all the different versions, internal and external. It conforms to your norms for version numbers, releases, and project dependencies. Maven has so many options, that it's difficult to get running. Even once you get it working, some implications (like the -SNAPSHOT build qualifier) are not obvious, and you can accidentally break your build system. Handling multiple versions of internal and external libraries, and the deployment of the binaries, config, source, and documentation. Can be tempting to overcomplicate Maven build jobs, though the language is simple and easy to read. Also, lots of Community supported plugins for whatever you need to compile, bundle, and package. Less Popular Plugins can a waste of time. Stick with the popular ones. Maven or Grunt are both good choices. There no comparison for me between Ant and Maven. Maven is my favorite. Apache maven give you ability to configure you environment, run unit tests, and create reports. Its easy to use and personally i like it But there are some other tools available which is more preferable. Like IDE independent. Some times the initial process is headache but i never hate this tool. I like that the installation is easy and we just have to add connection string to connect the program. I have used for one of my project in that i create php file and that ui is put on server using this maven tool. Basically i used it for the configuration and used it with the net beans java program. I am very satisfied with this tool. "Maven is a perfect build tool"
It is a best build tool to use in any java projects. It is a easy to learn tool and is very efficient in a project. Nothing so far. All the jars in the projects need to be mavenized and it is tough to figure out how to integrate that. Building the projects on a developer environment and configuring the project organizedly. 1. Lot of version dependency issues especially when working with multiple jars. 2.Some maven dependency issues kills so much of time to debug as error messages are not proper. "Easier to keep track of external libraries your project needs"
Library repositories are not always safe. * We monitor all Apache Maven reviews to prevent fraudulent reviews and keep review quality high. We do not post reviews by company employees or direct competitors. Validated reviews require the user to submit a screenshot of the product containing their user ID, in order to verify a user is an actual user of the product. Hi there! Are you looking to implement a solution like Apache Maven?